Restore files that have been lost in a variety of ways. Tenorshare Any Data Recovery Pro 5.2.0 was available as a giveaway on March 27, 2016! 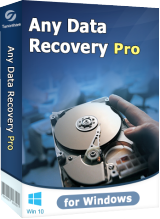 Tenorshare Any Data Recovery Pro is the powerful data recovery software. 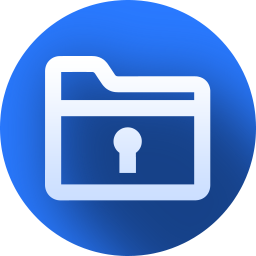 It is simple and has flexible recovery options that can help you restore files that have been lost in a variety of ways. Such as accidental deletions, partition changes, viruses and formatted partitions. It not only recover files from altered partitions and reformatted disks, but can also recover files from mobile phone memory card, camera cards, external hard drive, USB, pen drive, etc. 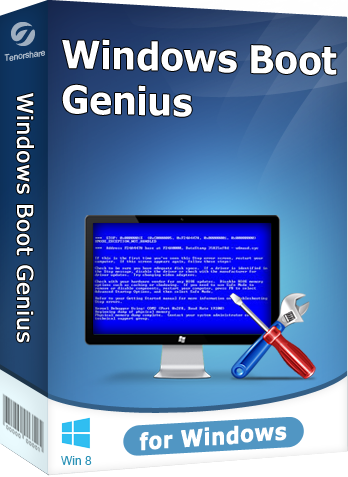 It is compatible with all current Windows operating systems, including a few server versions. 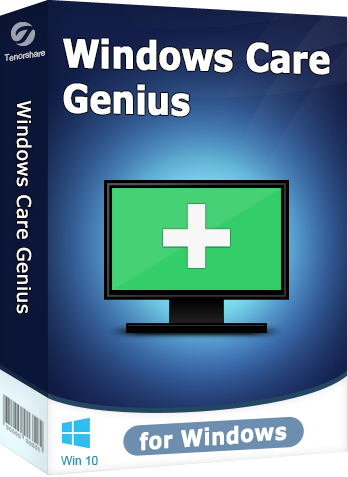 Run smoothly on Windows 10,8, 8.1, 7, Vista, XP, etc. and Windows servers. How would you improve Tenorshare Any Data Recovery Pro 5.2.0? recovery from a RAW drive. It doesn't help that (a) you must pay attention to the initial caps (Give, not give...) and what is more, the Register button is GREYED OUT to some extent, so you can't even debug it yourself, as you naturally think, if the email address is correct (and it is, by the usual standards) then it must be that you have to click the BUY button -- which is WRONG! Does exactly nothing. It installs and asks to run, but does not create a window and does not show in task manager. When I click on desktop shortcut, a pop up says it's running. Very poor offering. Win10 x64. Does exactly nothing. It installs and asks to run, but does not create a window and does not show in task manager. When I click on desktop shortcut, a pop up says it's running. Very poor offering. Win10 x64. It looks promising. BUT I can't even open it! Are programs not accepting 8/8.1 anymore even though it says they are? I shouldn't have to spend hours trying to get this thing to work. Hi, This is Maggiena from Tenorshare support team. It is my great honor to help you here. Per your case, could you mind sending the error screenshot to us for reference? Hi, This is Maggiena from Tenorshare support team. It is my great honor to help you here. Per your case, could you mind sending the error screenshot to us for reference? Here is our contact info: support@tenorshare.com Thanks! I cannot find where to enter the registration key and email. No registration icon in the upper righthand corner. Doesn't work on Windows 10. I have downloaded & installed dozens of GAOD programs and all installed and ran fine. With this one, I get the "successfully registered box" and the desktop icon. Click on icon and task mgr shows it running, but it doesn't show in my tray and no screen. Very strange behavior and yes I deactivated my antivirus & still wouldn't run. Thumbs down. I don't know where it is at the moment, but I do have a hard drive that I'd love to recover. Thanks for this software, I will try to find the drive, get a USB enclosure for it, and give it a whirl. Meanwhile, I have installed it for "if I need it." Install on W10 x 64 SSD, no problem. I ran a test on two 8G SD cards and on one it did recover a number of video files along with the file names. On the 2nd SD card, it indicated there were 1017 jpegs. It took about 10 minutes to complete the scan and then save the files to the default directory. The file names and file sizes were there but I couldn't view any of the jpegs. SC cards are usually formatted as FAT32, so I reformatted but as NTSF and ran Tenorshare. No files were found so back to FAT32 full reformat and ran the recovery program, it never found a single file, it actually looked like the SD card was never used. The programs works a fashion but hardly worth $99.95. Being as it's free it's just extra app to have along with other recovery tools as it may just find files the others missed. I do like the fact that it showed the file names. Can't believe that people would actually pay a hundred for this software! Works great and is completely free of charge!!! Can't believe that people would actually pay a hundred for this software! Piriform https://www.piriform.com/ Has Recuva for free: https://www.piriform.com/recuva Works great and is completely free of charge!!! Will not install on Win 10 64 bit. Tried several times, no go. Timothy, Try turning off your antivirus. I found that AVG would stop it installing. John, Thanx. That was it. I have an old 320GB external with a lot of old files on it. Somehow it has become inaccessible, and I cannot even reformat it. I really have considered the info as a complete loss, but would love to have use of the external again. If this can access the files on it, would I then be able to access its memory and start removing files from it for recovery and to delete unneeded files from it? I think if I can get it reformatted, it might be usable again. You might try using a partition manager to access the drive, quite often if a drive becomes inaccessible for whatever reason, Windows will simply refuse to read it. A partition manager should allow you to delete the partition(s) on the drive then format and with luck you should be able to recover your files. Good luck. L. Cleveland Major, You might try using a partition manager to access the drive, quite often if a drive becomes inaccessible for whatever reason, Windows will simply refuse to read it. A partition manager should allow you to delete the partition(s) on the drive then format and with luck you should be able to recover your files. Good luck. Can this be installed and run from a thumb drive? After all, you never know which of your PCs will fail someday. Appreciate the generous offer GOTD i seem to have the best luck using Piraforms Recuva thats free . I have recovered files i accidentally erased . While no one data recovery is perfect this seems to work at least for me . Downloaded, installed under Windows 10. Program will not open. Tried to run by clicking and then tried to run as administrator. Program would not start. Tried to go to directory and start from there. Still would not start. Downloaded, installed under Windows 10. Program will not open. Tried to run by clicking and then tried to run as administrator. Program would not start. Tried to go to directory and start from there. Still would not start. UNINSTALLED. Two tests; recovery of deleted files, and files on drive listed. Pleased to report it recovered JPG files and MP3 files without any difficulty. More importantly to my mind it only listed deleted files, unlike some recovery programs which list everything! Unfortunately, this listed both deleted and files that were not deleted, oh dear imagine wading through a list like that, maybe I've missed a method of separation but I don't think so. Easy-to-use, can select type of files to look for and when found a tree on the left panel lists them by type and worked well in quick scan mode. Tested on new SD card prepared purely for this test. Two tests; recovery of deleted files, and files on drive listed. Quick scan mode. Pleased to report it recovered JPG files and MP3 files without any difficulty. More importantly to my mind it only listed deleted files, unlike some recovery programs which list everything! Deep scan mode. Unfortunately, this listed both deleted and files that were not deleted, oh dear imagine wading through a list like that, maybe I've missed a method of separation but I don't think so. Easy-to-use, can select type of files to look for and when found a tree on the left panel lists them by type and worked well in quick scan mode. Tested on new SD card prepared purely for this test. Ok, couldn't register with the code provided in the text file included. However, upon going back to the text file, I realized it did not want MY email to register. It wants the one int the text file. After that, worked fine. Ok, couldn't register with the code provided in the text file included. https://gyazo.com/83971b4f1bfe636ef99ca92e4aa59e7e However, upon going back to the text file, I realized it did not want MY email to register. It wants the one int the text file. After that, worked fine. I recently had a USB thumb drive become corrupted. I had a lot of MP3 files that I wanted to recover. I tried four or five different "undelete" or "recover" programs. Some free and some paid programs. They were able to recover some files. Unfortunately all of the recovered files were garbled and totally useless. Even the ones marked green and stated to be in perfect shape. Since then I have become more a fan of back ups than this type of program. Thank you for the offer but I will pass. "USB thumb drive become corrupted"
Therefore I always use a program to eject a USB-device. gpc111: "Since then I have become more a fan of backups than this type of program". And understandably so: the era has passed when large capacity drives were so-oo expensive it was necessary to trust to luck and hope your most prized stuff wasn't inadvertently deleted / lost / corrupted. But those days are gone, something of which today's developer seems blissfully unaware because the retail quoted on this page -- that is, the re-install price of this giveaway -- could equip anyone with a back-up drive and a pair of USB sticks by way of redundancy. The unexpected will always happen in computing whether by mistake or mischance but trusting solely to "recovery software" makes no sense-- and spending $100 on it, downright mind-boggling. gpc111: <i>"Since then I have become more a fan of backups than this type of program". </i> And understandably so: the era has passed when large capacity drives were so-oo expensive it was necessary to trust to luck and hope your most prized stuff wasn't inadvertently deleted / lost / corrupted. But those days are gone, something of which today's developer seems blissfully unaware because the retail quoted on this page -- that is, the re-install price of this giveaway -- could equip anyone with a back-up drive <i>and</i> a pair of USB sticks by way of redundancy. The unexpected will always happen in computing whether by mistake or mischance but trusting <i>solely</i> to "recovery software" makes no sense-- and spending $100 on it, downright mind-boggling.